Another spring. Another edition of Mercedes-Benz Fashion Week Ljubljana. Designers from all around Slovenia and Europe have gathered once again to present their new collections to the Slovenian audience. How was the whole fashion week experience? Besides falling sick the first day of it all and pushing through with a fever, I still had a great time. You may think that after attending the adored New York Fashion Week back in February I would be let down by #MBFWLJ - this may be true to some extent, because we clearly cannot compare to the so-called BIG 4 fashion weeks, I can still say that I was pleasantly surprised by a few fashion designers who knew how to prepare an entertaining fashion show. More of that in my top 5 collections which I listed below. Now let's get onto the outfits. You can never go wrong with an all-black outfit, right? This all-black ensamble was a pain to wear I'm not gonna lie, especially while having a fever on a sunny warm day, but I still loved the way everything turned out and honestly really enjoyed wearing it. I wore Topshop overalls paired with a Zara white shirt worn under a DKNY hoodie. I finished everything off with a Pajk hat, Zara sock boots, Asos bandana and Janja Videc glass earrings. The second day of #mbfwlj started really sunny, but when it came to the first part of the runway shows it suddenly started raining really heavily. Because of that I decided to go for a "weather inspired look" and wear my hair very sleek and completely wet. As goes for the outfit I went with my trusted Zara wide leg trousers, M J M t-shirt, Almira Sadar red jacket, Brlan socks with strappy heels, a vintage straw bag and Mango red statement earrings. And to end this post, here are 5 of my favourite collections from MBFWLJ. The usage of folk music and traditional patterns both reinterpreted with modern twists supported the visual imagery of the entire collection. Her oversized jumpers, puffer jackets, shorts, etc. ranging in white, red, pink, green and blue were uniquely styled with trendy sneakers and socks to support the current streetstyle vision. Tjaša Zalar presented a fresh spin on the current athleisure trend with the help of her roots and tradition. 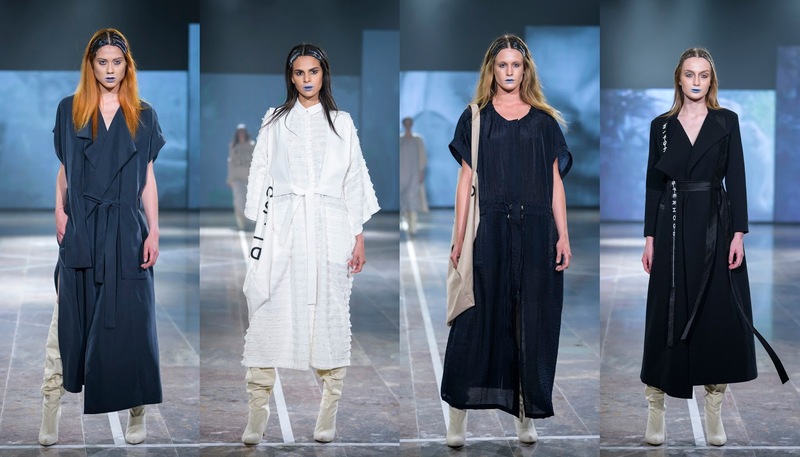 Even though she is still a newcomer fashion designer (receiving the MBFWA only last year), she has already significantly paved her path onto Slovenian fashion scene. She has evoked amazing reactions from the crowd who cheered her onto the stage after her debut collection at the MBFWLJ. And we agree – Tjaša Zalar and her amazing talent is the one to watch in the next few years. Janja Videc retained her minimalistic and organic design approach, further elaborating her “witches” vision, that has already been implied in her previous collections. This time her usually strict forms dissolved into more flowy voluminous shapes, setting free an old pagan spirit that has been suppressed. Colours remained minimal, ranging from white to deep blue and black, unifying the newly formed sisterhood of witches. The graphic design on bags and straps is a result of her collaboration with Marko Klemen Sovree (Po dežju). 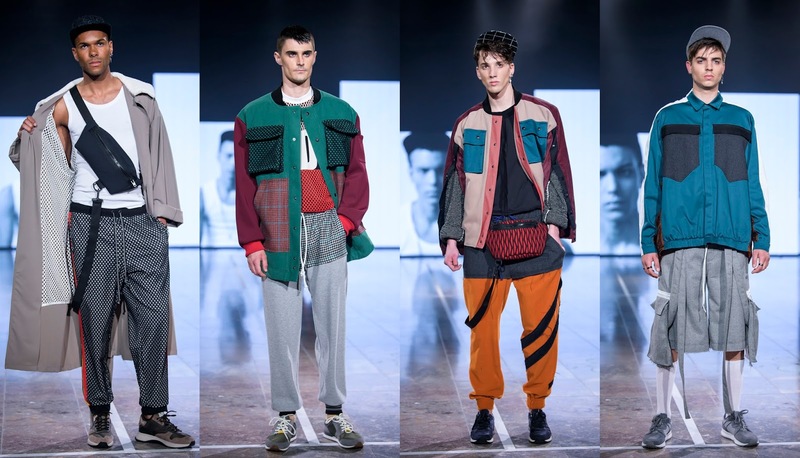 Marko Glavinić’s menswear collection was infused with bold, shiny textures, which were carefully designed into structured jackets and styled with checked trousers, shorts or skirts. 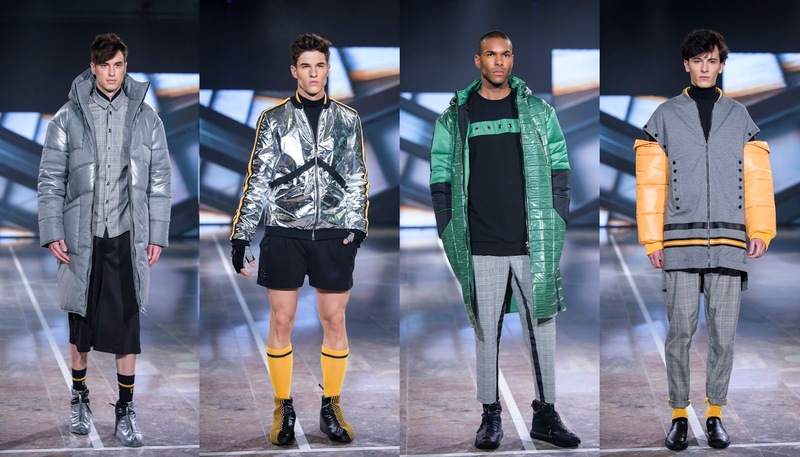 The styling was completed with sneakers and colourful socks with MG logo on it, which neatly tied together with the rest of the collection. Even though the colours in the collection ranged in the muted colour palette, Marko Glavinić used the pops of silver, green and yellow to bring out certain parts of his design. As a whole, the collection was a really fresh take on menswear. 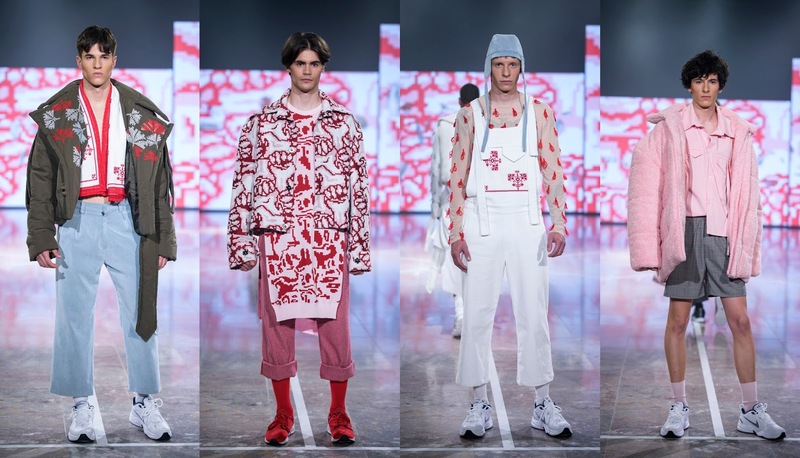 Milica Vukadinović has already presented a few collections at the MBFWLJ and each year she is one of the designers everyone is talking about. And this year was no different. 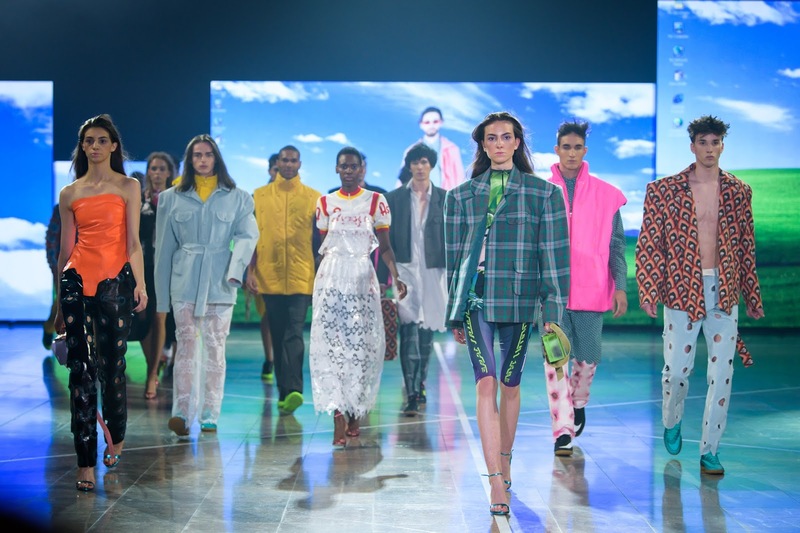 Milica retained her structured approach in oversized pockets (on both shirts and pants), but played with colourful mesh for a more relaxed feeling throughout – which has been a rather different approach in comparison to her previous presented collections. Colours were innovatively combined – red, green and burgundy; yellow, pink, blue and orange. Athleisure was a big trend at this edition of MBFWLJ; Milica also contributed to that with the styling of looks – with belt bags, hats, sneakers and socks. Sari Valenci never disappoints in presenting an eccentric collection and this year hasn’t been any different. Her innovative collection was marked by a variety of textures, bold colour combinations and spot on streetstyle styling. She clearly knows who her client is and designs with this particular vision in mind. 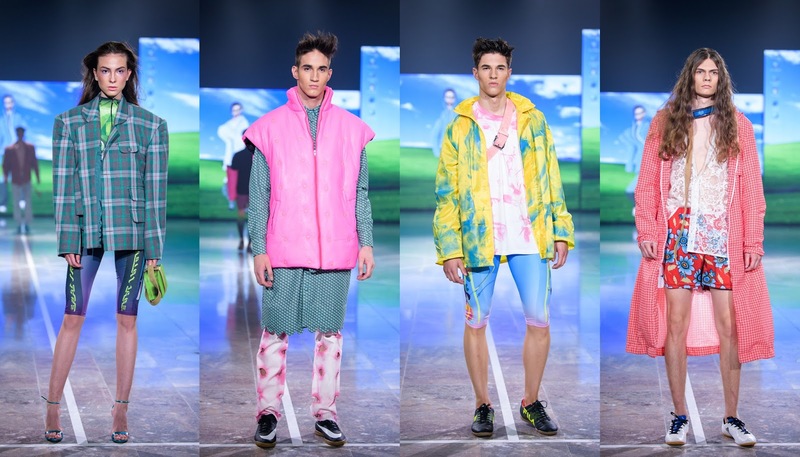 Oversized structures presented in bold patterns and colours were perfectly layered with cycling shorts, vests, tops and shirts. Just like Tjaša Zalar, she managed to support her collection with an amazing visual imagery behind and a song that suited the vibe of the clothing presented. Sari Valenci has all the needed knowledge of the current trends and she is clearly never at a loss for ideas – we cannot wait what she will bring out in the future. You can read more about the designers here. So that's a wrap - it's the end of another fashion season. See you all in the fall! ALL PHOTOS AND WORDS ON BLUSH ARE PROTECTED BY COPYRIGHT. THEY CAN ONLY BE USED WITH PRIOR CONSENT OF THE AUTHOR AND THEY HAVE TO BE LINKED BACK TO THIS BLOG (BLUSH). All rights reserved. © blush • Theme by Maira G.